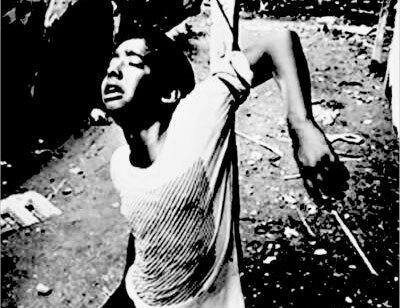 This week alone, thirteen-year-old Rajon was tortured to death by a group of men in Sylhet, seven-year-old Tikon was beaten to death by his uncle in Chittagong and Lucky Akther, a transgender, otherwise known as a “hijra”, was killed by villagers in Natun Bazar. A new video has just surfaced showing two minor girls being severely beaten at an orphanage in Barisal. We’re disgusted, but not shocked, at the inhumanity shown by the gang of thugs captured in the video of Rajon being tied to a pole and his teenage body being brutally assaulted. We’re repulsed, but not shocked, at Tikon’s infant body being caned because he dared to leave home without permission. We are sickened, but not shocked, by the mob beating of Lucky Akther to death. We’re ashamed, but not shocked, by the incident in Barisal. We’re outraged, but shocked we are not. Saying we’re shocked would be naïve. It would mean that child abuse in Bangladesh is an anomaly. It would mean that Rajon and Tikon’s deaths were isolated incidents. It would mean that like Lucky Akther, those belonging to marginalised “hijra” communities are not viewed as subhuman, or as inherently criminal by Bangladeshi society. We are not shocked that all these incidents were perpetrated by able-bodied, adult men. Because in the patriarchal society and world we live in, the adult male is the default. And the rest of us are aberrations.